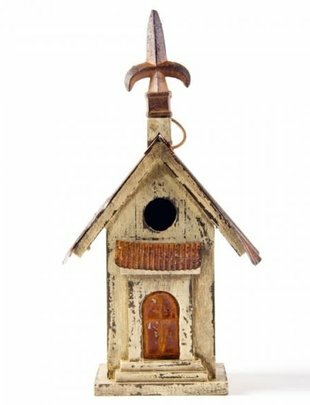 This birdhouse is constructed of natural wood and metal. The wooden planks for house body are painted by hand. 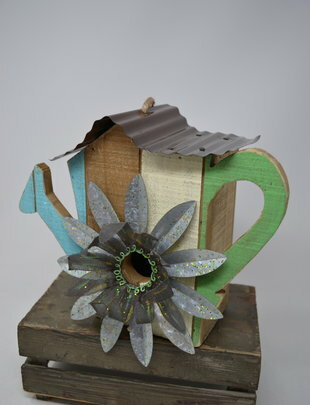 The metal pieces strengthen the roof part for the birdhouse, make it very sturdy and durable. 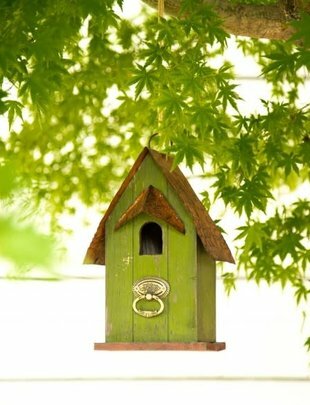 This birdhouse is made to be rustic and fit the outdoor garden environment, but is suitable as a great indoor decoration as well. 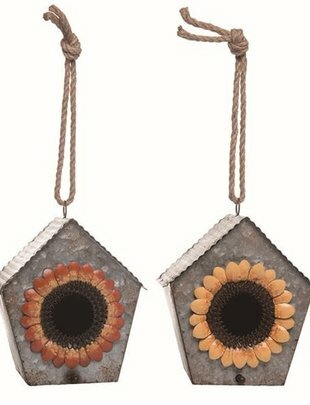 Also it’s absolutely appropriate as a gift for your friend who is interested in birds or gardening. 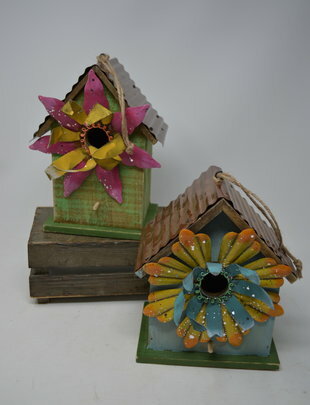 It is better for your garden decoration. 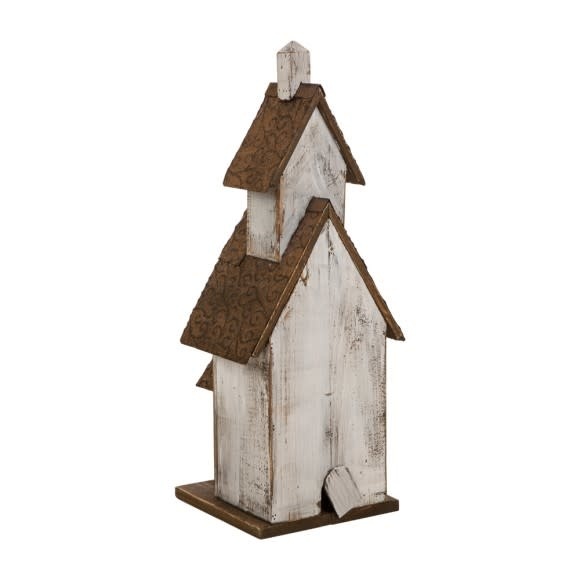 If you choose to use this as a functional birdhouse, it should be cleaned out once per season to make room for the next house guest. To simplify cleaning, the back panel opens with a concealed door. 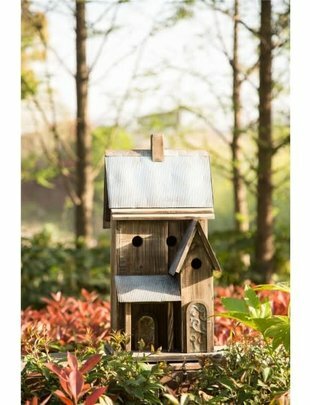 With this 9.45"L x 8.27"W x 23.62"H birdhouse, you are not only dressing your garden but also offering birds a cozy home. 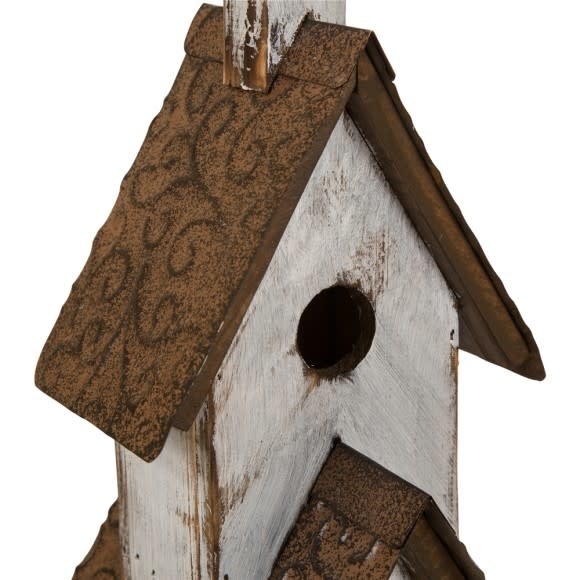 Your bird friends get house warranty in our store. 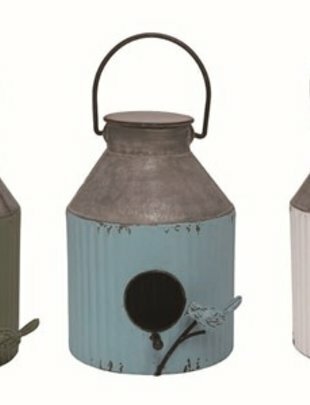 If displayed outdoors, please protect this from inclement weather. 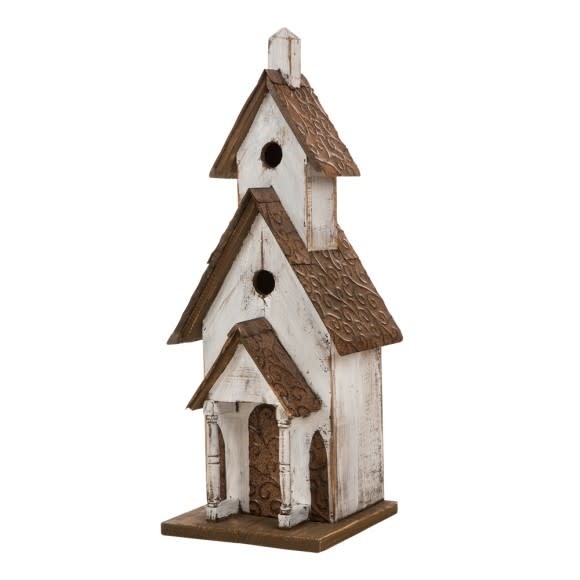 Difference: Rustic barn design, suitable height, gives your bird friends a very pleasant living experience. 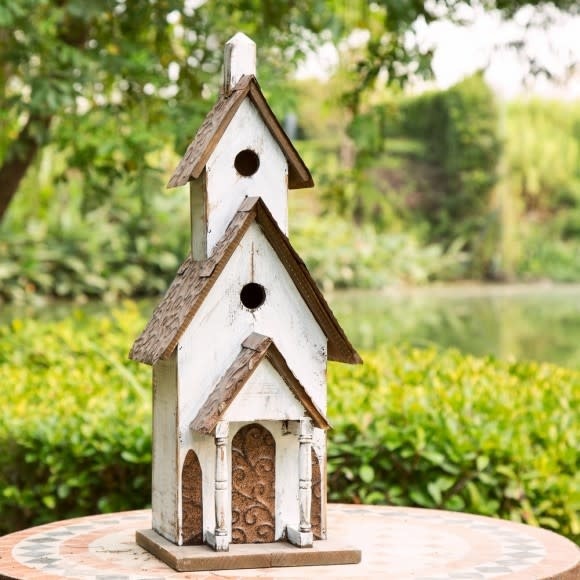 Functions: You are not only can dressing your garden but also offering birds a cozy home. 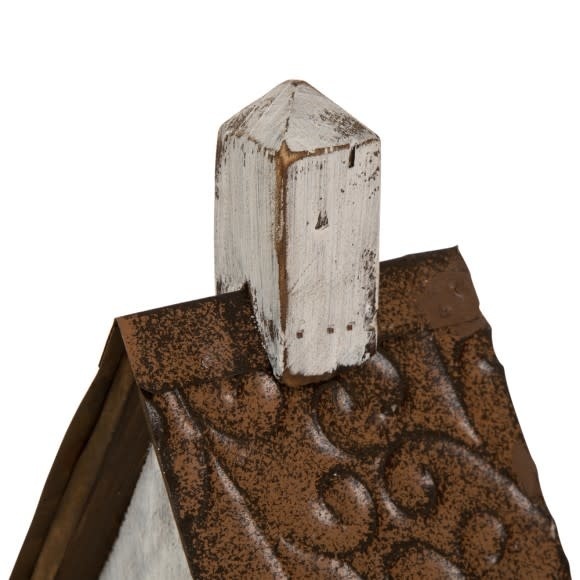 Recommendation: If you choose to use this as a functional birdhouse, it should be cleaned out once per season to make room for the next house guest. 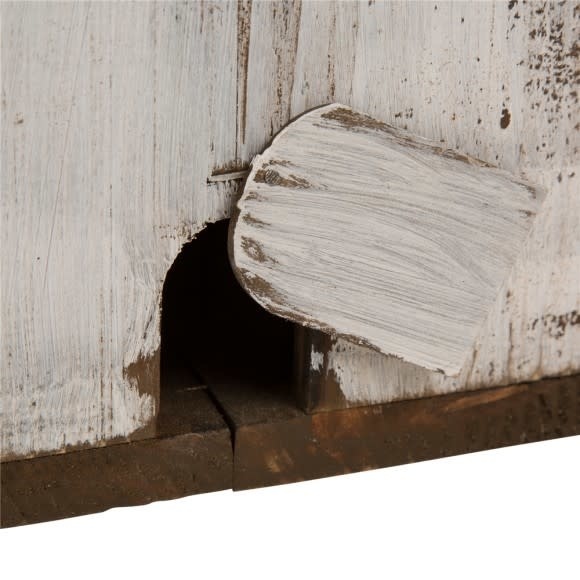 To simplify cleaning, the back panel opens with a concealed door. Note: Not suitable for hanging on a tree because of the big size.